Cait London is a national award-winning, bestselling author who fully enjoys the perks of her career, like traveling and meeting readers. 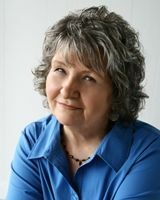 Cait's contemporary, fast-moving style blends romance with suspense and humor, and brings characters to life by using their pasts and heritages. Her books are filled with elements of her own experiences as a scenic and wildlife artist, a photographer, a mountain hiker, a gardener, a seamstress, a professional woman, and a homemaker. She also enjoys computers and reading, aromatherapy and herbs. Of German-Russian heritage, Cait grew up in rural Washington State. She is now a resident of Missouri and the mother of three daughters, all taller than she. The best events in her life have always been in threes, her good luck number. 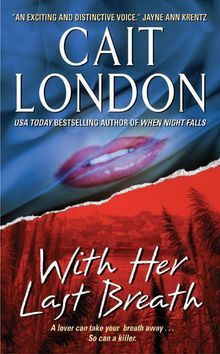 Cait London says, "I enjoy creating romantic collisions between dangerous, brooding heroes and contemporary, strong, active women who know how to manage their lives. I believe that each of my books is a gift to a reader, a part of me on those pages, and I'm thrilled when readers say, "That was a good book.'"